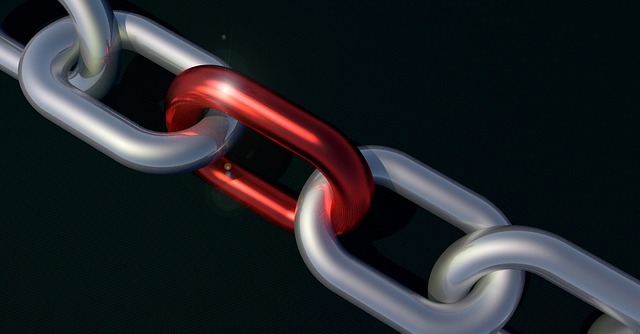 How Do Internal Linking And Site Size Affect SEO? It’s pretty obvious why stuff like mobile optimization and keywords matter to search engine optimization. They’re pretty much the bread and butter of search engines. Less obvious is the role of a website’s structure – internal linking and size in particular. Part of the problem is that internal linking is a deceptively complex topic. Without a solid understanding as a foundation, it’s difficult to even conceptualize. Let’s talk about that. To understand the role internal linking plays in search engine optimization, you’ll first need to know a little bit about how search engines like Google crawl content. Search engine robots trawl their way through the structure of a site by following both internal and external links, using them to form an idea of how everything fits together. Eventually, they’ll also assign a value to each page on the site based on how many backlinks it has – also known as link authority. Generally, your website’s homepage has the most link authority, as it has the most pages linking back to it. To maximize the effectiveness of your internal linking strategy, you need to understand which sites have the highest authority and structure your site in such a way that Google is able to understand each page’s relevance, relationship, and value. Yoast offers some pretty decent advice in this regard, recommending a site structure that looks like a pyramid. The most important content sits at the top, with links branching off to sub-pages and related content, and also between posts and pages that are related to one another. A good way to do this for a blog or eCommerce storefront is with related items, category tags, or topic tags. You can also use anchor text within site copy to connect people to related pages, though you should do so only sparingly. You might assume that bigger is better where your website is concerned. Unfortunately, that’s not strictly true. Google’s own Matt Cutts, for example, has gone on record saying a bigger site doesn’t guarantee you’ll rank better. See, while it’s true that more pages and sub-pages give you more of a presence on Google (in addition to more internal linking opportunities), size is much less important than quality. A website with three pages will rank higher than one with several hundred if it provides more value to visitors. Site size, in other words, is like anything else in the SEO space. It doesn’t exist in a vacuum. Where indexing and ranking is concerned, it’s part of a larger whole – it can help, but only if your content is already of exceptional quality. Generally speaking, bigger is better where your website is concerned – at least in theory. More pages and sub-pages mean more opportunities to rank, after all. It means more traffic. So, there you have it. Size doesn’t matter as much as you’d think – it’s more about the content you provide, and how that content is structured. We’ll discuss link structure and sitemaps in greater depth in a later post. For now, you know what you need to get started. Next Next post: What Is Metadata, And Why Is It Important?